Gaia PC Jigsaw Puzzle is an innovative PC jigsaw puzzle game that allows you to create and play personalized jigsaw puzzles with your personal images on your PC. Unlike other PC jigsaw puzzle games, Gaia PC Jigsaw Puzzle allows you to play your favorite jigsaw puzzles in the same way as you play traditional jigsaw puzzles. Gaia PC Jigsaw Puzzle saves you a lot of money by allowing you to play an unlimited number of jigsaw puzzles on your computer. You can choose your personal images, the number of pieces, custom shapes and even more! Because you can choose almost any image you want into Gaia PC Jigsaw Puzzle, this jigsaw puzzle game guaranties you unlimited hours of fun! This game lets you play with the number of puzzle pieces you want: 9 to 2000 puzzle pieces. This game is made in a way that you can save and load your puzzle games whenever you want. This game is so easy to play that kids as adults can play. Because the jigsaw puzzle is displayed in 3D, that means that you can play your puzzle games like a real jigsaw puzzle game. You are not restricted to your computer screen size. 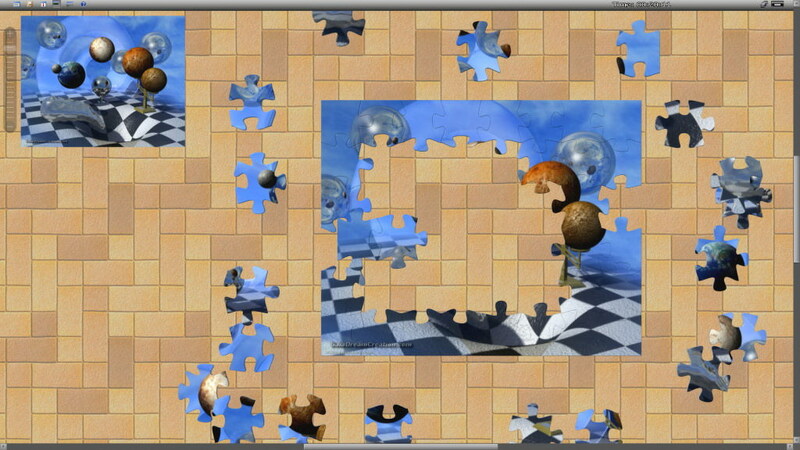 Very often the size of the puzzle pieces causes problems to fit into the whole screen. With the easy Zoom In / Zoom Out functionality, you can modify the puzzle distance. The puzzle pieces will look smaller or bigger depending of the zoom state. This nifty little freeware programme plays the game chomp against you. You have to avoid finishing a rectangular chocolate bar as you take turns to eat rectangular bites. There is nothing to install, just run the exe. Be Crossword is a handy Palm application for getting and solving crossword puzzles on the palm of your hand without paper and pen, without desktop or laptop. Great feature set of Be Crossword adds more pleasure to crossword puzzles solving.